Properly equipped workshop with all the necessary tools and accessories is the basis of a quality ceramic work, whether it's the pleasure of work or the result of your efforts and the efficiency of your work! Tools for ceramics can be used not only by professional workshops where the tools ar part of fast work and everyday routine, but also by hobby ceramics and at schools or leisure courses where it is impossible to work without them in certain circumstances. Precise craft work, the speed of preparative and modelling activities, all of that is based on the quality tools for ceramics. 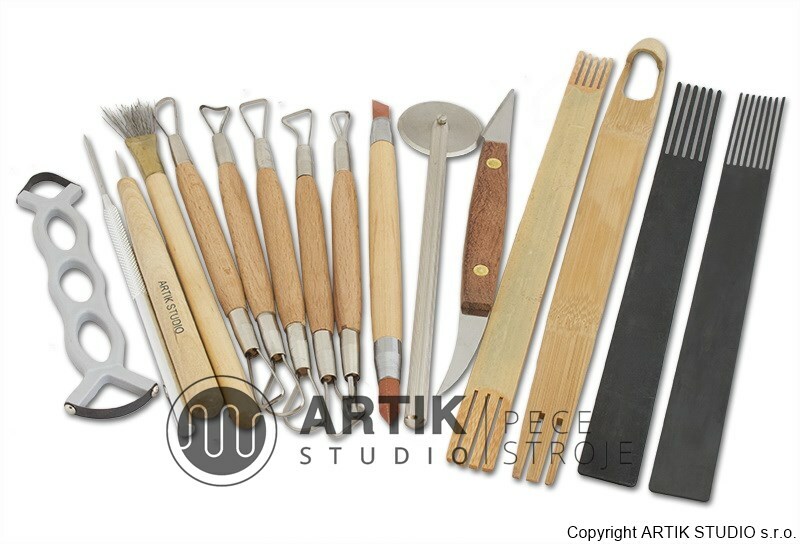 We know how to save your time and work, that´s why we have prepared a unique offer of tools for ceramics assortment from the most used and most common tools to special tools and accessories. 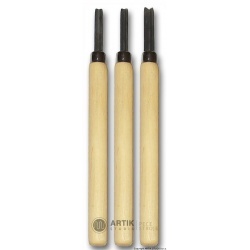 We are constantly expanding the offer of ceramic tools with new tools and accessories. 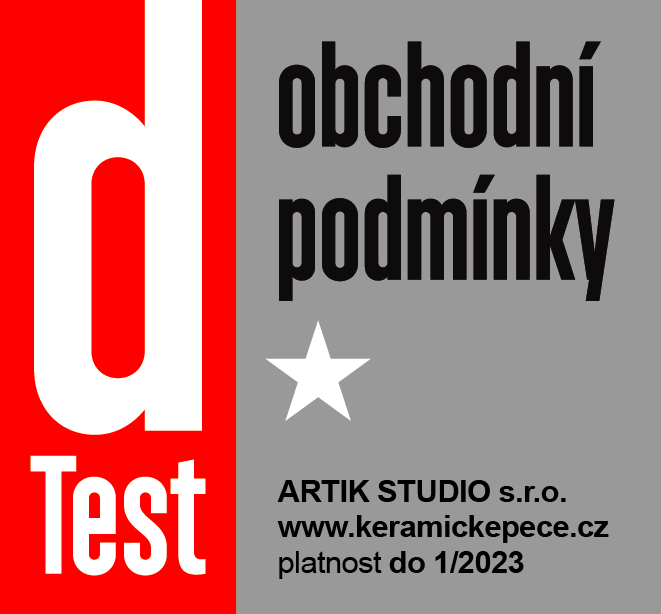 We are trying to cover the maximum of the most used assortment and offer the widest offer of quality ceramic tools on the Czech market. 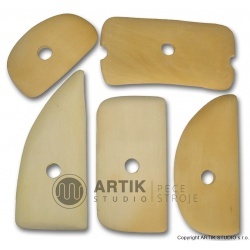 With us you do not buy only tools for ceramics, but also for sculptors and others artistic fields, where work with modelling material or the firing is used. Just as we deal with the issue of wide assortment, we also try to provide the best price offer compared with the competition. The range of ceramic tools is made on order by manufacturers and in large volumes for us, which is why we can keep the lowest price level on the Czech and Slovak market. 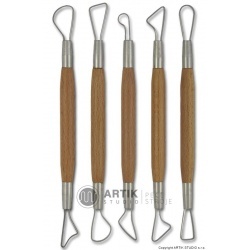 Prices are so good that even other resellers of ceramic tools often buy from us. We run several ceramic workshops ourselves. This makes it possible to test ceramic tools and accessories in detail, which is reflected in the fact that some tools have been upgraded or developed tailored. 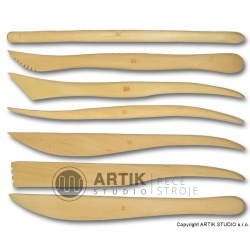 These are very functional and ergonomically great products! Another advantage of ours is the fact that the range of ceramic tools and accessories is directly in our stock, therefore, we can dispatch orders in a very short time! 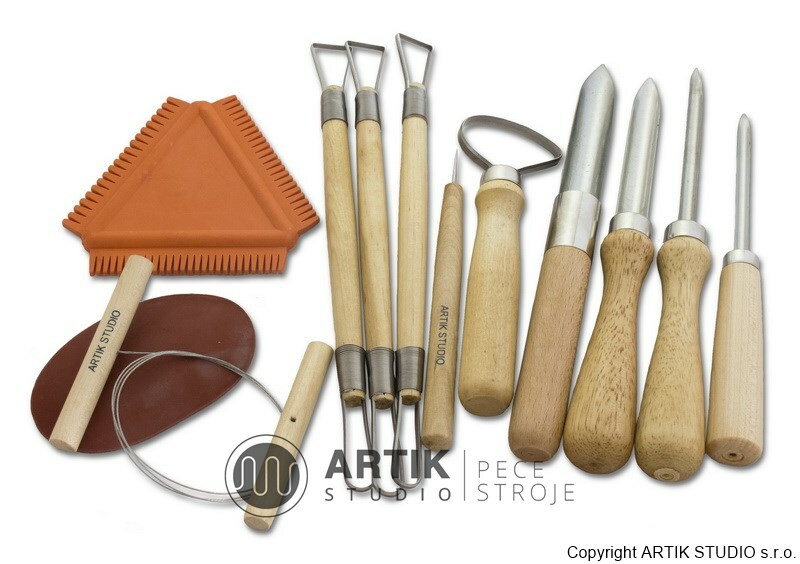 Ceramic tools for clay preparation. Ceramic tools for slabbing and extrusion of ceramic mass. 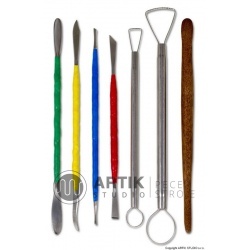 Ceramic tools for glaze, engobes and pigment coating. 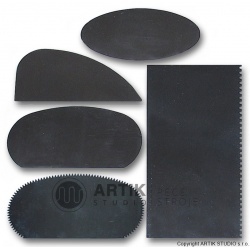 Ceramic tools for modelling and shaping. 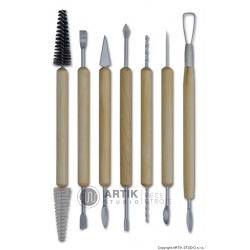 Ceramic tools for product decoration. Ceramic tools for transport of a product. 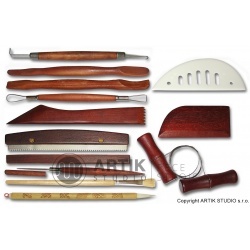 Ceramic tools for making decoration. 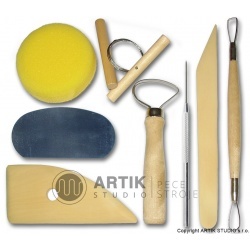 The most commonly used tools for ceramics are e.g. 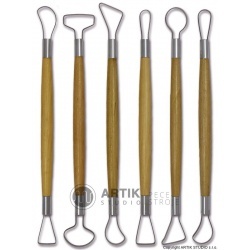 needles, incisors, hole diggers or cutters. 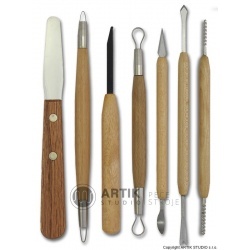 Cleaning and glaze tools, card scrapers, spatulas, callipers, slabbing and extrusion tools, banding wheels, etc. also belong here. For regular customers, whose orders exceed a certain limit over a long period of time, we are willing to provide discounted prices for all tools for ceramics compared with standard offer for common end-users. We can provide interesting quantity and turnover discounts for large customers and other resellers of ceramic assortment. In the case that you are interested to establish a wholesale cooperation, or you want to ask about a specific product, or eventually, you have not found the product you need in our offer, do not hesitate to contact us. Favourite set of pottery tools. Basic set of modelling tools. Large set of modelling tools. Set of stainless clean-up tools. 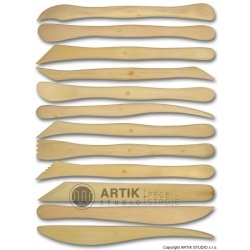 Wooden ribs are used to help pull up and shaping the product during throwing. Useful tool for forming, wiping and decorating. 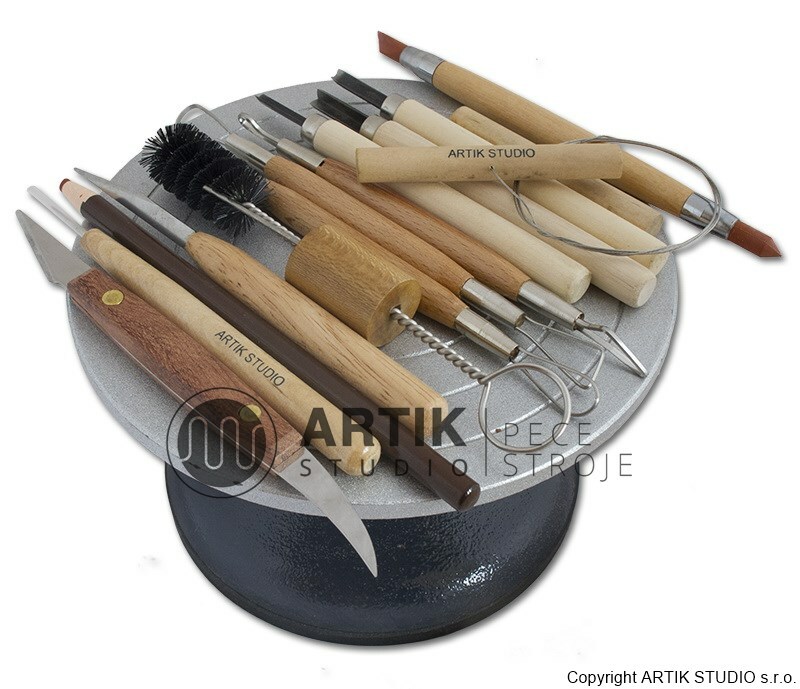 Set of ceramic tools for modelling and throwing ceramic. Suitable for beginners as well as advanced ceramists.